A-Frame walker, handbrakes and height adjustable handles. 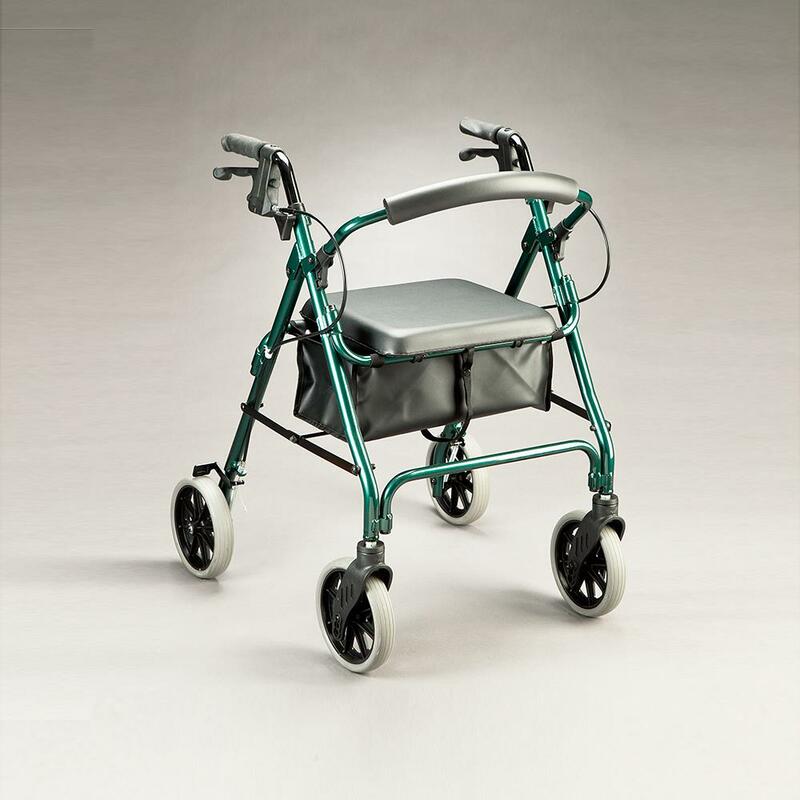 Supplied with removable backrest, vinyl bag and padded seat. Walker can be folded with vinyl bag still attached. Large 8'' castors for greater maneuverability and mobility outdoors. Metallic Burgundy, Blue or Green frame colours.